Tired of not being able to play a lick, technique or song on guitar (after practicing it over and over)? You won’t be able to play anything you want on guitar until you make critical changes to your current guitar practice approach. If you struggle to play something on guitar, it means you are either unaware of what your true problem is or you don’t know how to fix it (or both). Fortunately, these problems are very easy to overcome (and it will only take you a matter of minutes). 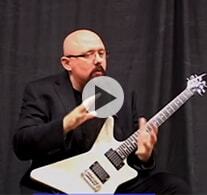 Learn how to play anything you want on guitar using effective guitar practice methods. Simply enter your name and email, then click the "Show Me The Video" button to enter. All of your information is always kept 100% private and confidential.